One of the big problems with feeding Chihuahuas a healthy, balanced diet, is people’s misconceptions about dog food in general. Dog owners are far too easily misled by claims from dog food manufacturers about the benefits of “scientifically formulated diets”. Dogs are primarily carnivores and like eating raw meat and chewing on real bones. They do not eat cereal, wheat or corn in the wild. They do not cook their food, or process it in any way, or need extra flavouring or colouring for the animals they have hunted and killed. They can quite safely eat semi-rotting meat and their stomachs and digestive systems have not become “weaker” because of domestication. 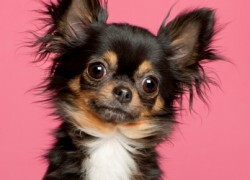 Bear in mind that all dogs are genetically descended from wolves, even little Chihuahuas. 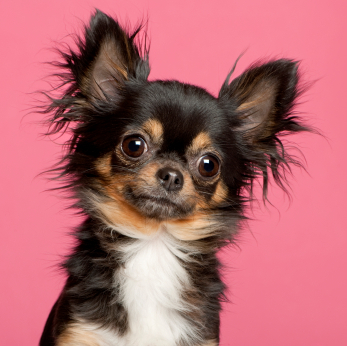 Many pet owners treat their Chihuahuas like little toys, dolls or like small four-legged human companions. Chi owners will refer to this behaviour as “pet love”, while more level-headed pet owners will think it is eccentric at best. 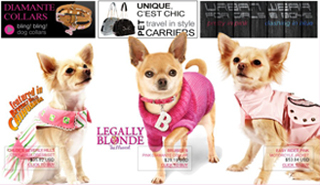 They dress their Chi’s in little outfits, buy them Chihuahua gifts and designer Chihuahua collars and shoes. What they also do, is feed them “human” gourmet food. While this may be better than feeding your Chi on commercial dog pellets or canned food, what your Chi really wants and needs, is raw food. That is where the “BARF” diet comes in – Bones And Raw Food. The BARF diet is based on what dogs eat in the wild, and on what keeps dogs healthy. Cheap commercial dog food is no good for your Chihuahua. They are small, have tiny digestive tracts and many of them suffer from blood sugar imbalances. Chi’s benefit a lot from a raw food diet. There are a couple of special considerations though: you should feed your Chi bite-sized chunks of meat, like chicken, beef or pork, that is raw. If you are using meat that was frozen, make sure that it is properly thawed out. Mixing in raw fruit and vegetables is necessary for a balanced diet. Be sure to pulverise fruit and vegetables and remove the inedible parts. In the wild, dogs will eat the stomach contents of the herbivorous animal they kill. Even domesticated dogs love eating stuff like rotting fruit that lies under trees in the garden. Raw food has all the nutrition locked in to it that a dog requires to stay healthy. Cooking removes a lot of the vitamins and minerals. The advantage of feeding your Chi raw food, is that you have complete control over the quality of the food and you know exactly what proportions are used. Many companies have expensive specially formulated dog food that is supposed to contain everything your dog needs. the fact is, would you eat processed food all the time and expect to be healthy? Dogs and people benefit from a normal, diverse diet. Over a long period of time, your body will get the right nutrients of needs, from a variety of food sources. The same goes for a dog. No matter how good a commercial product is supposed to be, the manufacturers are still trying to make a profit, therefore they will use filler foodstuffs whenever they can. Many dogs died a few years ago, due to melamine used in dog food, to boost the protein percentage. You really don’t know what goes into commercial dog food. Most people are oblivious about how bad human commercially prepared food is. Consider how many dogs in modernised countries in Europe and the USA, have dietary problems, in comparison to dogs in countries like Australia, where they are fed primarily on bones and scraps, instead of commercially produced food. Then make your decision about what to feed your Chihuahua. 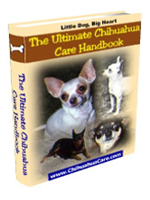 Remember that a Chihuahua needs frequent small meals, and that those meals need to be as nutritious and healthy as possible, due to the unique needs of the breed. If you feed you Chi junk food, as far as canine food goes, there will be consequences.